Explore our selection of ladders from industry leading brands including Manthorpe & Youngman.Here at Building Supplies Online, we have a ladder range to suit all your DIY needs. 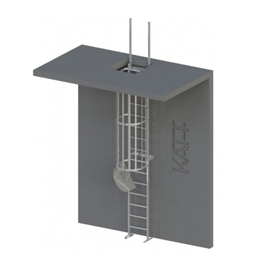 If you are looking for a Ladder to access your loft hatch or need and an extension or Roof ladder, we offer a great selection for you to choose from. We are serious about providing our customers the best range at the best prices. Our ladders are no exceptions, below are some categories to get your started! All of our ladders are produced by companies that have long been producing high quality building equipment. You can be sure that you are purchasing ladders and ladder accessories that you can trust on the Job. Whether you are looking for a ladder to use in your trade or when doing jobs at home, our comprehensive ladder range can offer the ladder for your needs. Installing a loft ladder in your home can help you access your loft or attic space more quickly, easily, and safely. Whether you use your loft as a room, or just need a ladder to fetch things that you have stored in the loft such as holiday luggage, or Christmas decorations. 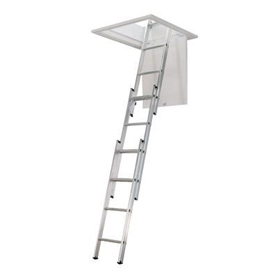 Our loft ladder range offers a selection of high quality retractable loft ladders from Youngman and Manthorpe. 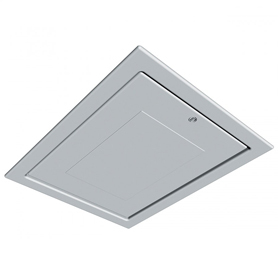 We offer a choice of sliding section or telescopic extension mechanisms, and available in a range of lengths to suit the height of your ceiling. If you want access to your roof for maintenance, or to enjoy a roof terrace we provide the ladder you need from our roof ladder range. You are sure to find the equipment to meet your needs. We can offer a broad choice of height of step ladder. A light-weight 2-step ladder is ideal for performing jobs around the home. Such as changing light bulbs or cleaning high shelves. 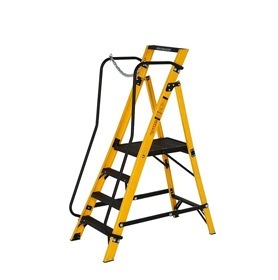 A 10-step ladder suitable for heavy duty industrial use. Whatever the size and specifications each step ladder is manufactured to high standards by Youngman. They focus on safety features including non-slip treads, and non-slip rubber feet. 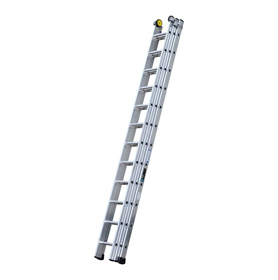 If you need a tool to access high places for decorating, cleaning, or maintenance work you can choose from a great selection of extension ladders. These have a choice of sliding section or telescopic extension mechanism. They are available in a range of heights up to 10.62m, tall enough for almost any job whatever the situation. If you need a ladder for a variety of tasks you might choose the flexibility of a combination ladder. These can be arranged into different configurations to function. 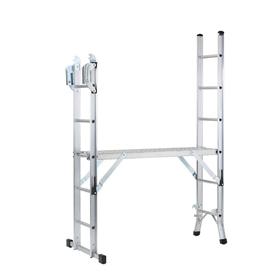 Such as a step ladder, extension ladder, or deck ladder to ensure you have the right equipment to best suit your job. Every combination ladder in our range is sturdy but light weight. This makes them suitable for domestic, trade, or industrial uses. 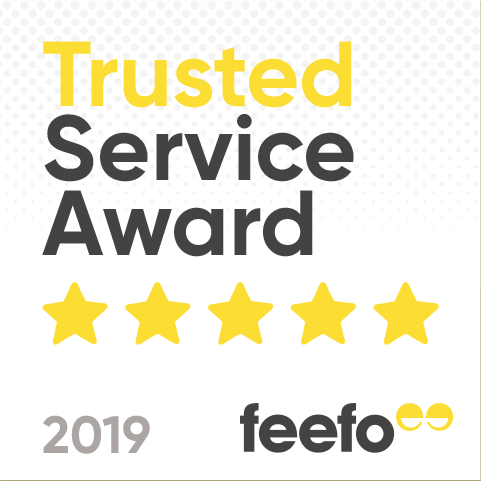 There is a focus on safety features including a stabiliser bar, non-slip tread and platforms, and non-slip rubber feet. For additional safety when using your ladder our range also includes ladder accessories. 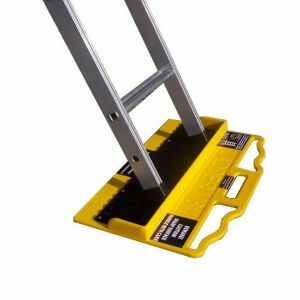 These include anti slip stopper devices so you can use your ladder with confidence in all conditions. All of the products in our ladder range are available at great value prices. So whether you are looking for a ladder to help you best enjoy your home or a heavy duty ladder you will find the right ladder to suit your needs. Finding the right ladder for the right Job is no easy endeavour, especially with our range of over 150 ladders on offer. Not to worry, we have experts on call from 8:30 to 5:00 every day to give you a helping hand in choosing your ladder. Whatever ladder you do end up choosing, you can be sure it will function to the highest standard. Our largest range of ladder options that we stock is from Youngman. The Youngman Group Ltd was founded in 1926. It's acquired by Werner Access Products UK Holdings in 2014 and is now a part of the world's largest manufacturer for work at height equipment. Although some ladders try to do it all, at Building Supplies Online we know that every job big or small might need a different ladder. We have ladders for high places, ladders for your home and ladders just to reach of the top shelf. So whatever ladder you are looking for you can be sure to find it right here on our website. What's the Correct Ladder for the Job? Choosing the correct height of the ladder for your needs is extremely important. The maximum safe working height should not exceed 1.5 metres above the maximum allowable climb height. Step 2: What are you using your ladder for? If you are using the ladder for any form of commercial purposes, an Industrially rated ladder must be used that has a minimum load rate of 130 kg. Alternatively, if the ladder is going to be used as a private dwelling you can use a Domestic ladder with a minimum load rating of 95 kg. It is important to take your time to understand the different ladder styles available. Please Remember If you are working around or with electricity you should always be using a Fibreglass product.